1. First, click here to go to the CollegeBoard website. 2. Then, if you are not already a member of the website, click the sign up option. 3. 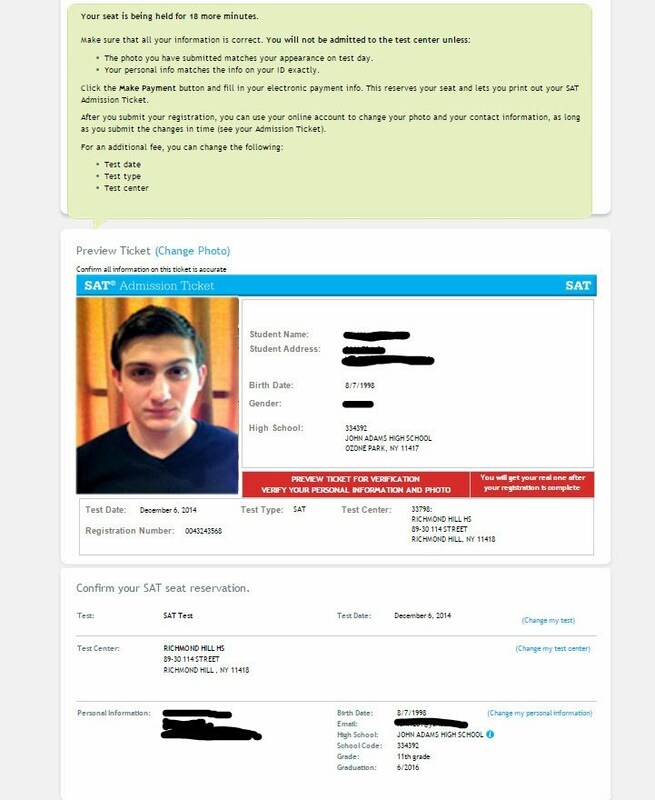 After you're signed in, find the word SAT Registration at the left side of the website, and click it to register for the SAT. 4. After you click the SAT Registration button, find the "Register" button at the right side of the page. 5. When you arrive to this page, fill out the blanks with your information. 6. After you signed up, choose an answer to the following options. This will help you create an college profile to help build an college and financial aid. 7. When your done, this page should appear and check the "I agree to the SAT Terms and Conditions" check box and press continue. 8. Then, choose the test and the test date. 9. Choose your test center. 10. Choose an appropriate and clear picture so you can accepted and be identified. 11. After you upload the picture, make a payment for your admission ticket (if you don't have a fee waiver). click here to contact the College Board or click here for help.